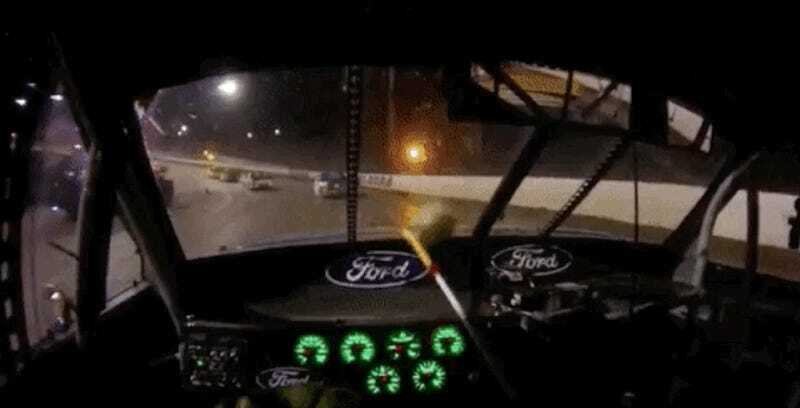 In the highest levels of NASCAR, where pretty much every track is asphalt, being told to “race cleanly” usually just means “don’t wreck anybody if you can help it.” But when it’s time to run dirt, clean racing is something totally different—basically, bust out your nearest duster and get to it in the middle of the race. 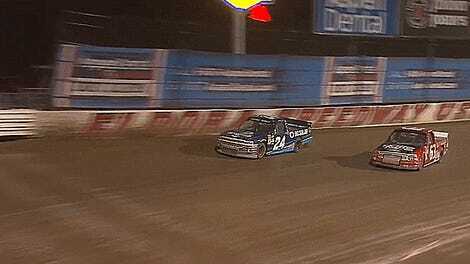 If there’s one thing we can all learn from the NASCAR Camping World Truck Series running on dirt at Eldora Speedway once a year, it’s that these drivers can definitely get to all of those hard-to-reach spots in your home. Sure, they’d probably charge too much to do it, but it takes real talent to drive a race car and clean at the same time. You get what you pay for here. At a time when even the most mundane of things in NASCAR (the final lap, the restart zone, the coverage of spotter communications) are sponsored, Swiffer is missing a real opportunity here—kind of like NASCAR is by not running more dirt races.